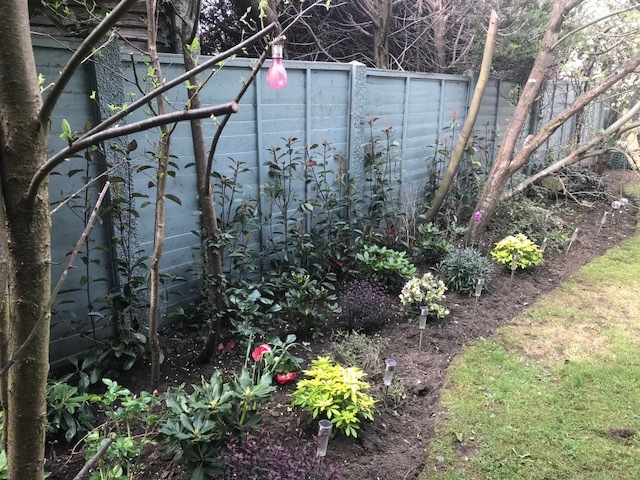 I’ve really enjoyed seeing my garden being slowly teased back to life with a fanfare of colour as the days get longer and the sun finally makes an appearance. 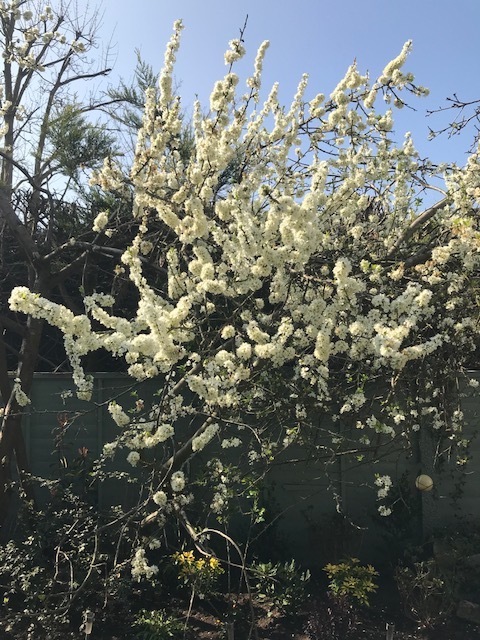 The delicate white damson blossom mingled with the magnificent vibrant yellow forsythia contrasting with the glorious pink of the azaleas and the tiny dark cobalt blue buds of the bluebells. Gorgeous. But there’s a shaded area of our garden under the damson and apple trees that’s always been rather forgotten. And at this time of year, when the rest of the garden is revelling in waking up, it really cries out for some attention. 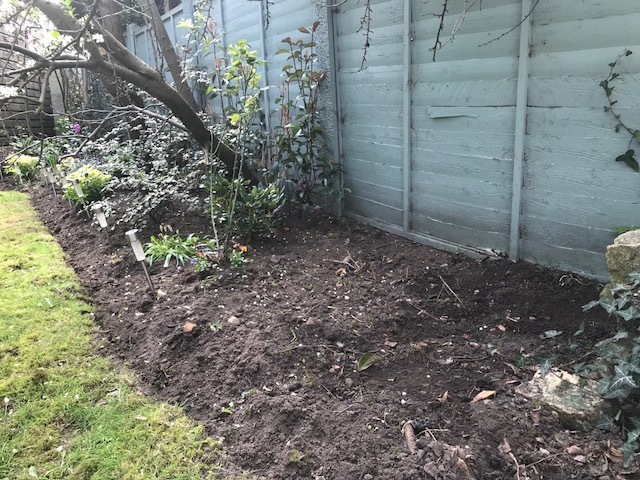 So I decided this year to take this blank canvas and plant an array of shade loving shrubs to create an all year round focal point – vivid flowers for spring and summer, vibrant leaves for autumn and evergreen for winter. 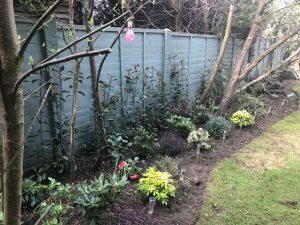 Here are my pick of evergreen shrubs that thrive in the shade that I’ve chosen to give this space a much needed revamp. 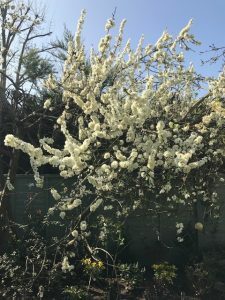 One of the most popular winter and spring-flowering shrubs – perfect for adding a splash of colour to your garden when there’s little else in bloom. An elegant shrub with dark glossy, deep green leaves, it has a profusion of large, eye-catching flowers that come in a rainbow of hues from pink to bright crimson, yellow to white. 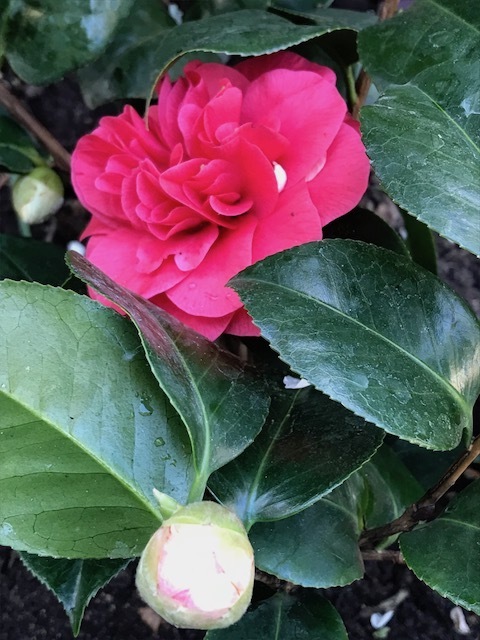 Camellias grow and bloom better in partial shade with shelter from hot afternoon sun. 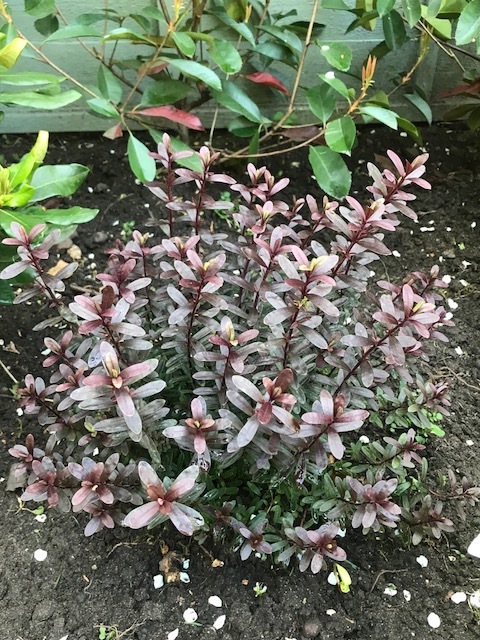 Late winter and early spring flowering from January to May, this striking shrub with leathery foliage is perfect for brightening up shady areas. From pure white to darkest black, to yellow, pink, crimson and dusky purple, many of the lighter shades are spotted with crimson. 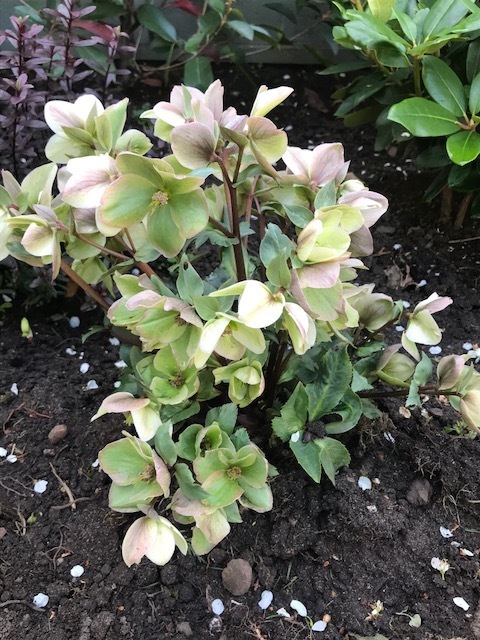 Hardy and perennial, often evergreen, Hellebores are not affected by frost, rain or wind and are easy to grow, best planted in dappled shade. They will continue to bloom for a number of years. 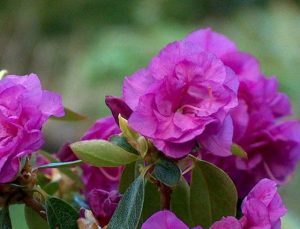 A perfect spring-flowering shrub for brightening up shady gardens, Rhododendrons are known for their spectacular clusters of colourful flowers, the prime flowering time being mid-April to May. The many species of this fabulous shrub each bloom in a kaleidescope of colours, from white to pink, yellow, purple and red. Most varieties require light shade – avoid deep shade or full sun. 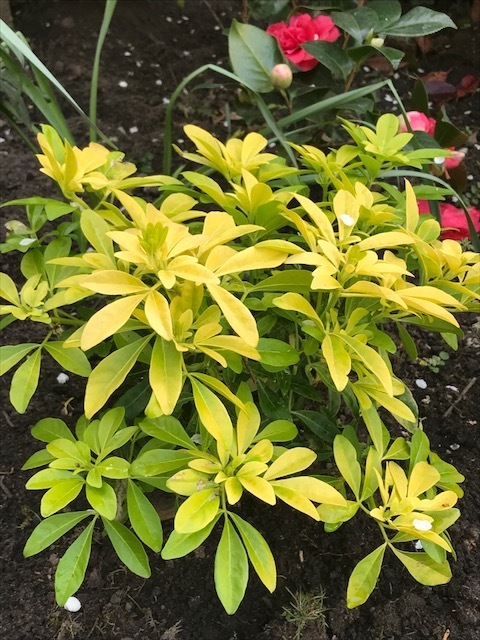 A glorious golden-leaved evergreen shrub with beautifully fragrant white flowers from late spring to early summer and sporadically throughout the rest of the year. The pretty star-shaped blossoms smell lightly of citrus and attract lots of bees. Hardy and low maintenance, the Choisya happily grows in partial shade. With up to 100 species to choose from, Hebes (names after the Greek Goddess of Youth) add a colourful punch to your garden throughout the year with bright foliage that intensfies in the winter and gorgeous flowers in the summer and autumn. With stunning tones from pink, white and crimson to deep burgundy, blue and purple, these show-stopping shrubs are attractive to bees and butterflies. Extremely versatile, Hebes thrive in many conditions and are easy to maintain. They grow well in semi-shade as well as full sun. 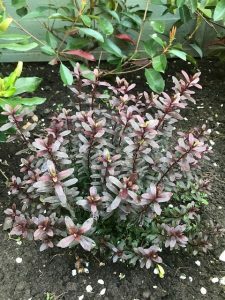 A bushy evergreen perennial that produces masses of dusky purple, fragrant flowers on tall spires over lush grey-green foliage. 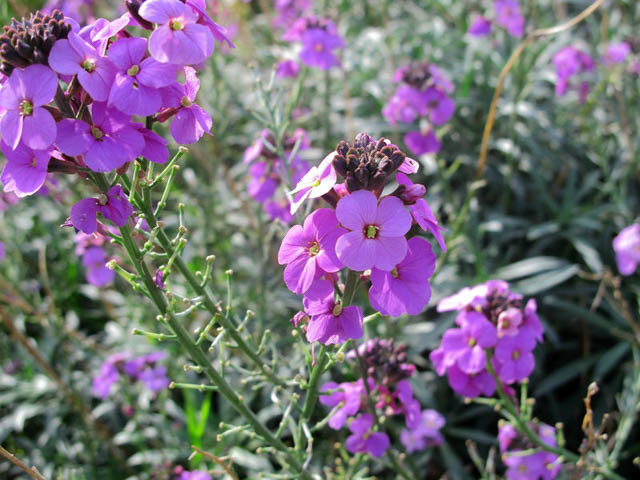 Spring to summer flowering, this hardy shrub can grow in partial shade or full sun. 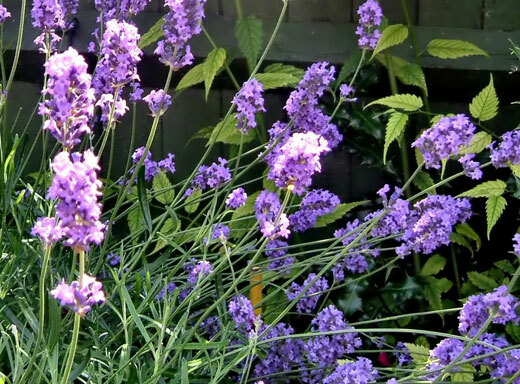 With masses of fragrant summer flowers in shades of purple, lilac or pink and scented silver-green foliage, this hardy, versatile shrub is a gorgeous addition to any garden. 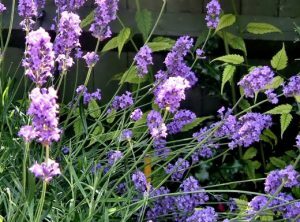 An easy to grow, drought-tolerant evergreen shrub, Lavender is extremely attractive to bees and butterflies. Suited for growing in full sun they will also tolerate a small amount of shade. So my once dull, dingy and desolate shaded area can now hold its own with the rest of the garden.